You must make reservations at least 5 minutes in advance of the time at Jimmy's Famous Seafood. 120 parking spaces available, no charge, outdoors. Valet available on weekends, free of charge. Jimmy's is a unique experience, with 5 different rooms, each with their own flair and ambiance! The 2nd level bar hosts live bands every Wednesday night, and DJs on Fridays and Saturdays! Please note that all reservations made via Open Table will be accommodated in the dining room, but you are more than welcome to join in on the fun! We have three separate private rooms for catering, hosting parties ranging from 20-250 guests. 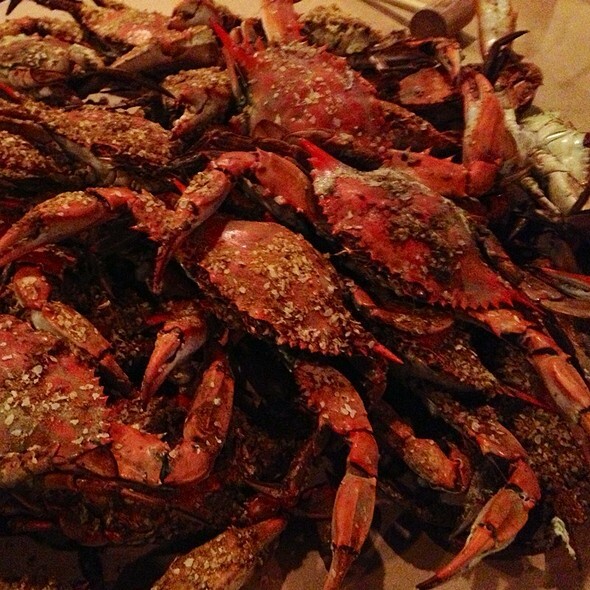 We specialize in crab feasts, company meeting and presentations, birthday parties, and holiday events. Check out our website or write to Katie@JimmysFamousSeafood.Com for complete details and pricing. Since 1974, Jimmy's has exhibited a commitment to excellence in the restaurant industry second to none. 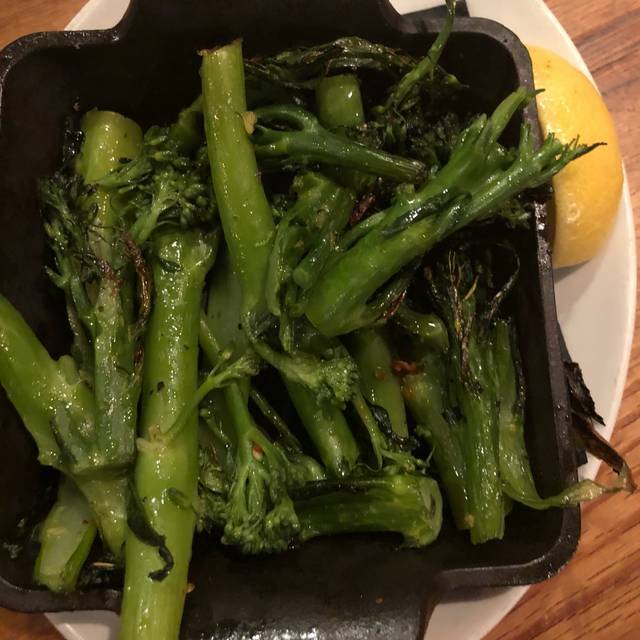 Although made famous for our award-winning seafood and steamed hard-shell crabs, our menu also includes various tastes from all over the world, such as grilled lamb chops, a monstrous, savory prime rib, and barbecued baby back ribs. 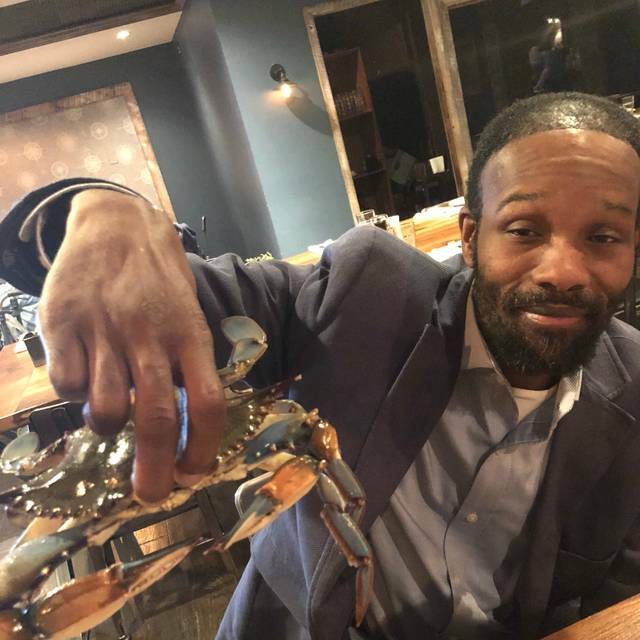 We have two seating areas - a casual, fun lounge and a beautiful dining room which is divided for those seeking to crack open some hot steamed crabs and those seeking intimacy. Seafood is flown in daily to ensure unrivaled freshness and to allow for new specials every evening! Add to any salad: Chicken $5, Shrimp $8, Crab Meat $9, Steak $8. Get your salad chopped upon request! Our Famous Greek salad topped with hunks of feta and Kalamata Olives; served with our house dressing. Addicted to our dressing? We now sell it to go! Mini pretzels smothered in our crab dip. Perfect for sharing! Crown Royal Apple, peach schnapps, cranberry juice, and an upside down Red Bull can (yup, the whole thing)! Red Sangria made with Ciroc Red Berry, Merlot, Prickled Pear, and Sierra mist! Twin 8 oz. multiple award winning masterpieces. Gluten Free Crab Cakes available. We ship our crab cakes and seafood anywhere in the US! 1 ½ lb. Whole Maine Lobster packed with our crab imperial and large gulf shrimp. Unstuffed MARKET. Five pound and up lobsters available with 24 hour notice! Jimmy's is always great. A large variety of choices and they never disappoint. This was our first visit. It was noisy but, the food was good. Our waitress Laura was great. She will be our permanent waitress on every visit. Went to Jimmy's to celebrate a friends birthday. The prime rib and crab cake was amazing and large enough to share with the whole table. As usual, the food and service at Jimmy's Famous were outstanding. We were celebrating our aunt's 80th birthday, and the waiter was exceptionally kind and patient with her. The only downside was that the restaurant tends to be VERY loud even when not filled up, so it was even harder for a senior to hear. But all in all, a very good experience. Service was great but was told after making reservations online for 10:45pm that We couldn’t be seated in the dining area after 10:30. We had to eat in the bar area. My family was visiting the area and this restaurant was recommended for dinner. The food did not disappoint! We will definitely be back!! Love seafood and this menu is a great one! Great selection. Excellent prices. There’s plenty to offer for the non seafood eater as well. Nice atmosphere and good service. Can’t wait to return. Thank you for the fabulous feedback. We are thrilled to hear that you loved our seafood so much. We are happy that our menu selection is to your liking and everything was great. We appreciate the awesome review. We can't wait to see you again. Enjoy your week! Thank you for the great review. We're excited to hear you find our crab cakes to be the best. We can't wait to see you again. Enjoy your week! Always a good time at Jimmys! Food is the best and the service is great! Kelly, Thank you for the great review. We are thrilled to hear you love your visits with us so much. We're so happy that our team always provides you with amazing service and you enjoy your meals. We can't wait to see you next. Have a great week! Thanks for the wonderful feedback. We are so happy to see that you loved our crab cakes. Thank you for the great review! We'll see you next time. Enjoy your week! Wonderful server and food. Market prices seemed a tad high, but we were thrilled with the experience regardless. Thanks for the great review! We are so happy to hear that you enjoy your meals. It's so nice to see our team took excellent care of you. We appreciate the feedback. We look forward to many more visits with us. Have a great week! Thanks for the great feedback. We're happy to hear that you had a wonderful birthday dinner with us. We are so pleased that our team took marvelous care of you and everything was to your liking. We can't wait to see you next time. Thanks again for the awesome review! Thanks, Mike. It's great to hear you love your visits with us. We appreciate the awesome review. We'll see you next time. Have a good week! Absolutely! The best crab cakes I've ever had. Coming from a state that doesn't specialize in crab cakes, I have gotten used to fried cakes. Broiled crab cakes is the way to go. Thank you to Thomas, our server. He was super chill and the service was great! Jane, Thank you for the nice review. We are so excited to hear that you loved you visit with us and found our crab cakes amazing. We are glad to know our team took excellent care of you and Thomas was awesome. We look forward to seeing you next time. Have a good week! Our service was terrible! We ordered kids spaghetti w marinara since we went on Friday during lent, and I knew as soon as I ordered it the waitress did not get it and sure enough it came out loaded w meat sauce. My husbands salmon had extremely too much lemon and that was all you could taste.The waitress was not at all attentative to our table or needs. Overall a waste of money and a lot of aggravation! Won’t be returning! We stopped by for lunch while traveling the food was GREAT we had the crabcakes they were fabulous and our server Brandon was outstanding. Beth, Thank you for the marvelous feedback. We are so glad to hear your visit with us was great and you loved our crab cakes. We're happy to hear Brandon was great and took excellent care of you. We'll see you next time. Have a nice week! I had a delicious meal here from the appetizers to the main course everything was very good. Additionally, our server Troy was very nice and was able to answer all of our questions regarding the menu. Zachary, Thanks for the amazing feedback. 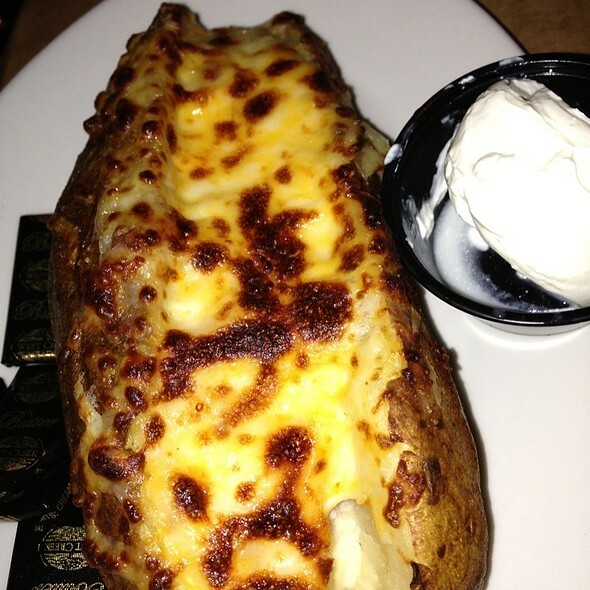 We're excited to see that you had such a great time with us at Jimmy's. We are happy to see our team was great and Troy took wonderful care of you. We'll see you next Happy Hour. Have a great week! Lisa, thank you for the feedback. We are thrilled to see that our team took excellent care of you and your meals were great. We hope to see you again soon. Have a nice week! Marlisa, Thanks for the awesome feedback. 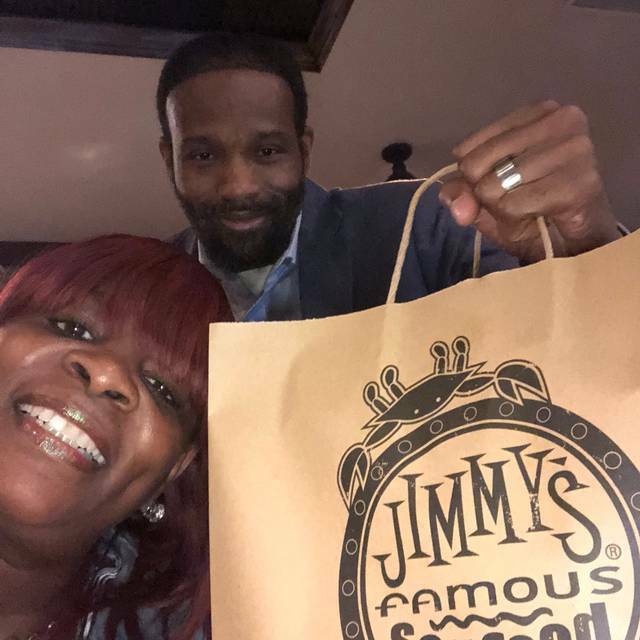 We are so happy to hear that you had a great time with us at Jimmy's. We're thrilled that you loved our crab cakes, mussels, and stuffed lobster so much. Thank you for the great review. We can't wait to see you again. Have a good week! So I usually love Jimmy's my last experience was wonderful. However, when I came on April 7th for my anniversary our experience was much different. The crab stars went from a crispy crunchy wonton to a chewy doughy wonton with too much cream cheese in the middle. My crabcake was also disappointing. It lacked flavor and seasoning which I was surprised about because the last time I was there it was amazing. My husband loved his porterhouse. His crabby mac and cheese however also lacked flavor. Thomas our waiter was amazing though. But because the wontons, crabcake and mac and cheese were a let down, we will not be returning to Jimmy's. Consistently great food at a good price. We live in New Jersey and come down to Baltimore to see the Yankees play once a year and always stop at Jimmy's Famous Seafood on our way down to get the weekend started on a positive note. Thanks for the amazing review! We are thrilled you love eating with us and are glad that everything is always to your liking. We look forward to many more visits. Have a great week! Fantastic service and the best crab cakes I have ever had. Thank you for the fabulous feedback. 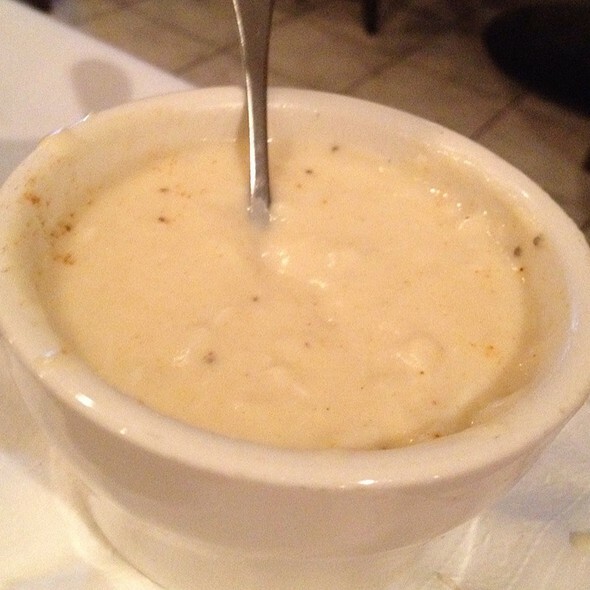 We're excited to hear our team took wonderful care of you and you loved our crab cakes so much. We look forward to seeing you again. Have a great week! My party was seated soon after our arrival. We were greeted by our server soon thereafter. The server took our drink order. She offered to provide me with a sample of 2 beers that I was not familiar with to let me decide on my beer selection. The server answered our questions about several items on the menu to help us decide what we wanted to order. Our food order was filled efficiently. The food was delicious and the portions were very generous. None of the four people in our party were able to finish our food order and take-home boxes were provided by the server. It was a wonderful experience. Dennis, thank you for the awesome review. We are glad to hear that you had a good time with us. We are so happy that your meals were great and you found everything to your liking. Thanks for the great review. We will see you next time. Enjoy your week! Must have the crab cake! Best scallops I have ever had in my life. I will be back the next time I am in that part of the country. Thank you, Ric Flair for the recommendation. Wooooooo! Amy, We appreciate the nice feedback. It is so nice to hear that you find our crab cakes and scallops so amazing. We are glad that our everything was to your liking. We can't wait to see you back. Enjoy your week! Our bartender Garret was great.. Great food and drinks . Garret kept everyone entertained. We are already planning our next group happy hour. Thanks, Matt. It's great to hear that our team provided you with excellent service and Garret was so wonderful. We can't wait to see you next Happy Hour. Have a wonderful week! Food and service was excellent! We will be returning in the future. They no longer automatically add the gratuity that was complained about by other reviewers. Mary, Thank you for the great review. We're glad to see that you had a good time with us. We are so happy that you enjoyed your meals and our team took excellent care of you. We appreciate the feedback. We'll see you next time. Enjoy your week! Thank you for the great feedback. We are delighted to see that you had a wonderful experience with us at Jimmy's. We can't wait to see you again. Have a great week! Everything was delicious. We will definitely go back. Thanks, Jaime. We are happy to see that your visit with us was nice. It's great to hear that everything was delicious. We can't wait to see you back. Enjoy your week! My daughter’s 22nd birthday. She didn’t want any singing just good food. She ordered the porterhouse steak, huge piece of meat but worth every penny. Lamp chops and Chesapeake chicken was also delicious. I have yet to be disappointed. Thanks for the nice feedback. We're are glad to see that you enjoyed your meals and found our porterhouse steak, lamb chops, and Chesapeake chicken so wonderful. Thanks for the great review. We'll see you next time! I visited Jimmy's recently to celebrate a birthday. We were a party of 5 and it took almost 10 minutes for our server to greet us. Another almost 15 to bring back 4 soft drinks and a cocktail. Granted, we were there on a Sunday evening and was told by the server there were several parties. Our appetizers came roughly 22 minutes after ordering (after receiving our drinks) and our entrees around 20 minutes more. I ordered a crab cake with imperial sauce which was very good, two others ordered the seafood combination, and another sushi. We were satisfied, however, my brother ordered seafood alfredo and the noodles were dry, brownish, clunky. He complained and the server brought him another batch. The second alfredo dish was well ahead of the first but took another 15 minutes to prepare. Overall, I wouldn't recommend Jimmy's Seafood for a dine-in experience. It's carry-out fare at best. Food quality and portions were great. We will be ordering shipments frequently ! Jeanette, Thanks for the great feedback. It's so great to hear you took advantage of ordering our online ordering. We appreciate the nice feedback. We'll see you next time. Have a great week! Thank you, Shawna. We're excited to hear that you love our crab cakes so much. We are thrilled you had a wonderful time and our team took good care of you. We hope to see you again soon. Have an awesome week! You’ll be ready for a drink after dealing with the congested parking lot! It’s always packed, but there’s a reason! The menu is expansive, but really no need to stray past the signature Market Crab Cakes. Comfortable ambiance and friendly service. We appreciate the wonderful words. We're glad to see that you enjoy your visits with us. We are happy to see that you find our crab cakes amazing and you enjoy our variety of menu options. Thanks again for the awesome review. We'll see you next time. Take care! Had a birthday gathering for my sister and everything was wonderful. We were able to have cocktails in the lounge/sports bar, we then switched to the second more reserved bar prior to being seated. We ordered lots of different items off the menu and EVERYTHING was delicious. We had NO complaints and will be returning. Our waitress, Ally, was absolutely amazing, very patient and extremely helpful. Thanks so much for this lovely experience. Thank you for the marvelous feedback. We are charmed to see you had a great experience with us. We are so happy to hear our team provided you with outstanding service and Ally was so wonderful. Thanks for the nice review. We can't wait to see you back. Have a nice week! Come here for the very good food, reasonably priced, and ample if not excessive portions. But it's not centrally located and in a no-so-great neighborhood. There is a safe and well-lit parking lot adjacent to the restaurant. Warm rolls start off the meal. Flatbreads were great but could have been an entrée. Fish was well-prepared and sides (green beans) were actually delicious. The interior is large and informal; you don't get the feeling you are in an upscale or modern place, just informal and comfortable. The deserts were amazing and enough to share for two. Definitely worth going to if you are in the area. Thanks for the feedback. 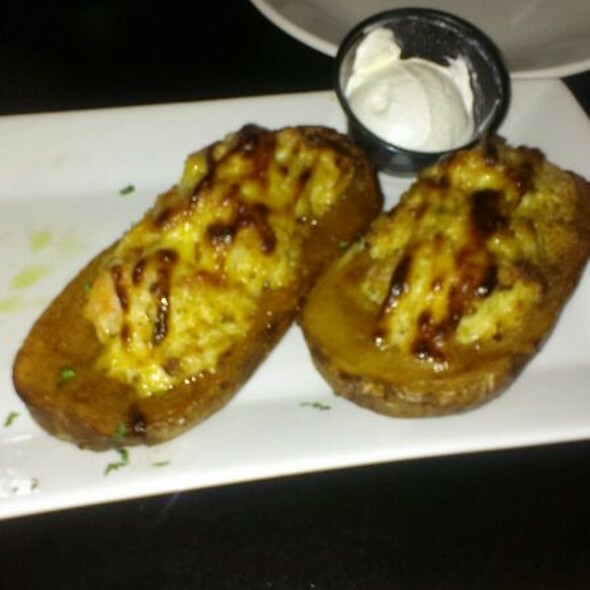 It's great to see that you enjoyed your meals while dining with us. We are happy that you found our fish delicious and prepared to your liking and our flatbreads great. We appreciate the great review. We'll see you next time. Enjoy your week! The food was delicious and the value was definitely there in the portions. Tara, our server was attentive and made the experience very pleasant. Joe, thank you for the awesome review! 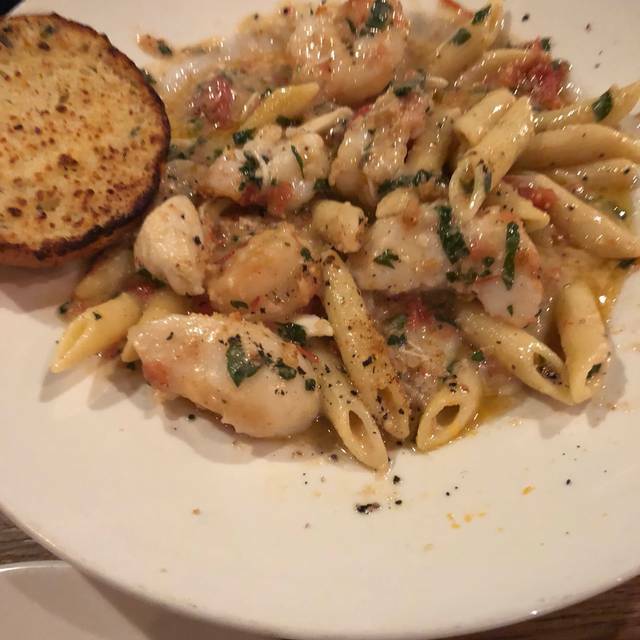 We're so happy to hear you loved eating with us. We're thrilled to see that Tara was wonderful and made your experience so great. We look forward to many more visits. Have a great week! Service is outstanding! Very friendly staff, food is amazing! I would definitely recommend this place to everyone who wants to try the best seafood in Maryland. It was a great evening! The crab cake was awesome! The waiter was very kind and helped us to make the right choice. Thanks, for the awesome feedback. We're charmed to hear that our team took excellent care of you and were so kind and friendly. We are thrilled your meals were amazing and you found our seafood to be the best around. We appreciate the kind words. We can't wait to see you again. Have a great week!